There are a couple of junk foods that are “adhukkum mela” level (I just can’t stand the sight of them. I wish I had the magic power to vanish them from this planet). One of them is Lotte Choco Pie (Another one is Kinder Joy, which I’ll write about in detail later). I can see many moms nodding their heads now! ;-) Young kids love both these products, while mothers try their best to avoid them. 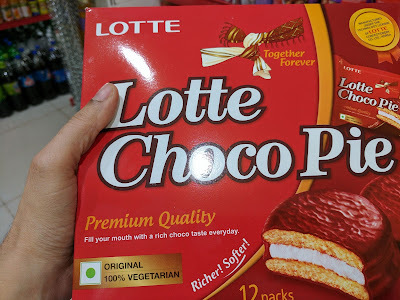 Come any birthday party, this Lotte Choco Pie features mandatorily in a little kid’s plate, along with a burger, nachos, sandwich, jelly and of course, the fondant-heavy birthday cake. Not only this product is so bad for our children’s health, but also for the environment. 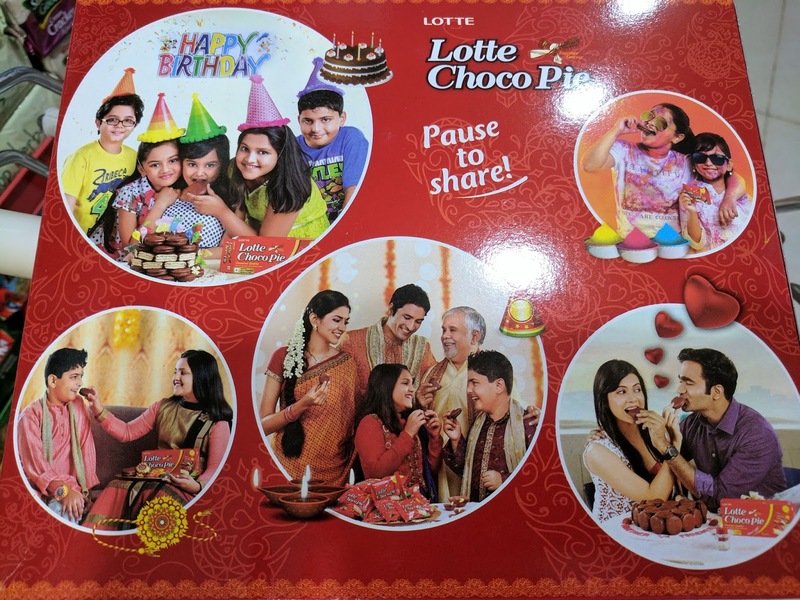 Each choco-pie is packaged in individual plastic wrappers and many parents buy them because it is easy to pack in a child’s snack box or distribute easily in a birthday party. The brand commands a premium for such irresponsible packaging. How ridiculous is that! Looking at the packaging, I had initially assumed that this is yet another imported Western junk food. But I was wrong, it is manufactured by Lotte India Corporation, based out of Chennai. The packaging shows many happy moments - birthday party, holi, Raksha bandan etc and the tagline says “Pause to share”. Let’s go through the ingredients list and think whether we really want to share such chemical-loaded junk with our loved ones. Now, let’s not get our hopes too high. This is NOT made of whole wheat. When a food product says “Wheat flour”, “Refined wheat flour”, it all implies “maida”. Unless the brand explicitly states “whole wheat flour”, it is always maida. As you can see, many of these are similar to the ingredients in Oreo cookies. If you notice the word “partially hydrogenated”, then rest assured that there are trans-fats in the pack. The product does contain trans-fat (0.7 gm per 100 gm, as per the packaging). Both the choco covering and the outer covering has sugar. As per the packaging, there is 33 gm of sugar in 100 gm of choco-pie. 1 pie measures 28 gm. So, each choco pie contains 9.24 gm of sugar (around 2.5 tsp of sugar). Until you sit down to calculate this, it is hard to decipher the sugar content at the supermarket, since the serving size and nutrition profile doesn’t match. Food brands seem to do this on purpose to complicate things for the consumer. Primarily used for quickly increasing blood glucose levels. Why do our kids need “liquid glucose” unless they are in some health emergency? No detail mentioned on the specific vegetable oil used. 100 gm of this product contains 17 gm of fat. So, each choco-pie contains 4.76 gm of fat (around 1 tsp of oil). Corn flour, wrote about this ingredient in my earlier post on Knorr soup. A sugar alcohol with a sweet taste which the human body metabolizes slowly. It is an artificial sweetener and food additive. It has a laxative effect and can be taken on occasion to relieve constipation. 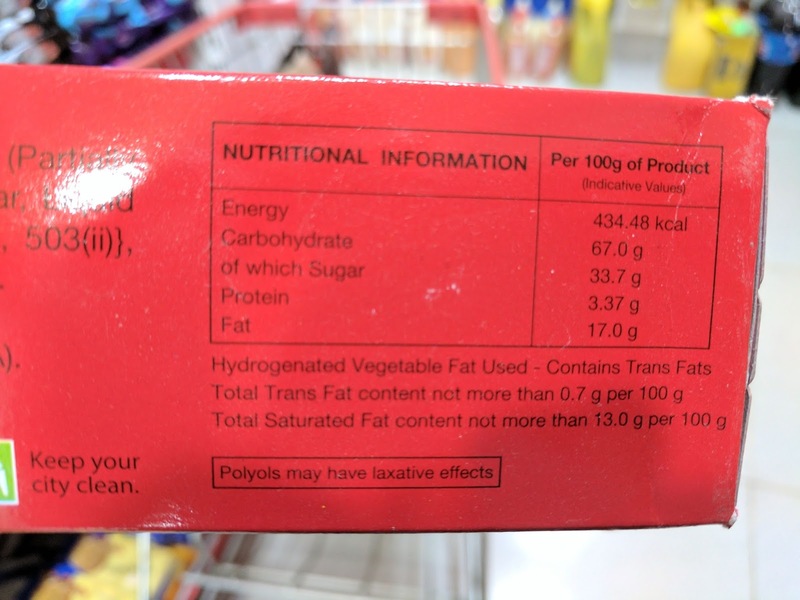 The packaging states “polyols may have laxative effects"
Wrote about both these ingredients in my earlier post on Oreo cookies. EU has placed this ingredient on alert. 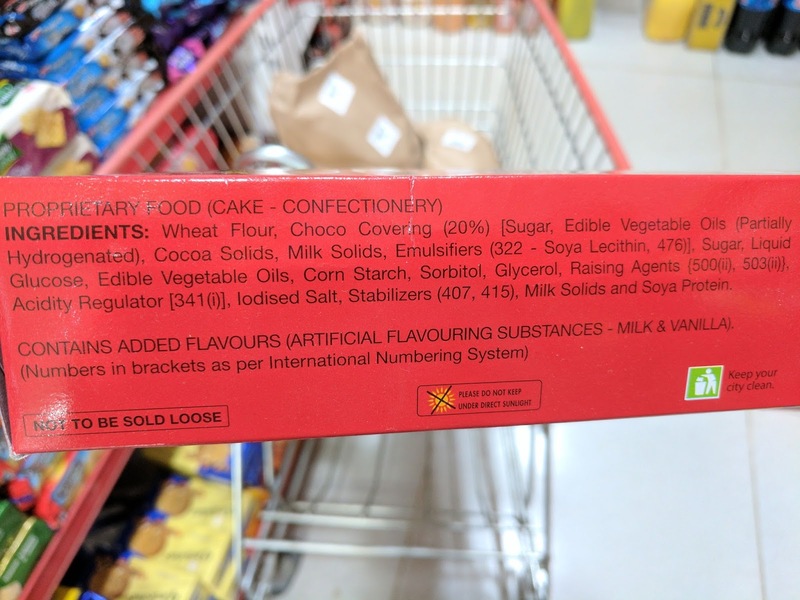 As you had noticed, most of these packaged foods have similar food additives - raising agents, stabilizers, emulsifiers etc. The ingredients list keeps getting longer and longer. Do we need such chemicals as “treats” in our children’s foods? Do we need to include such non-food substances during happy, joyous occasions like birthday parties? Let’s educate our kids about these harmful junk foods. Such products aren’t even worth giving in moderation. If a child eats Kelloggs Chocos (will write about this shortly) for breakfast, carry Lotte choco-pie for morning snack and have a couple of Oreo cookies in the evening, then all the moderation strategy goes for a toss. The sugar, salt and fats all go up, way beyond the child’s daily needs. Not to forget the overdose of chemicals. You want a birthday party menu, without such junk. How about something like this? Thank you for the detailed analysis. I respect n u open my eyes. My aunt told me not to eat this becoz this has pig content. Later 2 days after I started to search about each code meaning such as good n bad. As soon as I started to read your points completely n came to conclusion is not to buy such product in future. Why you should stop buying Oreo biscuits?